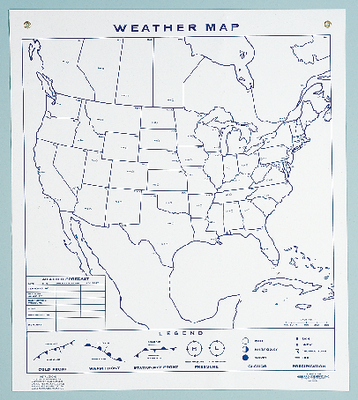 This reversible wall chart for plotting weather data is designed for use with erasable markers. 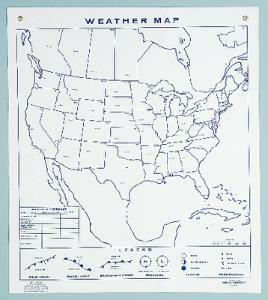 One side features a map of the U.S. and Canada with major reporting cities plus forecast space and a legend of weather symbols. The reverse side features two climagraphs for comparing temperatures and precipitation. Supplied with study guide. Separately available but identical notebook-size student worksheets make the combination an excellent teaching tool. Chart size: 44 x 50".